An inverted PC case is a computer case that has inverse layout design, which means the motherboard and components in it are installed upside down (facing down), which is opposite to the traditional way of mounting of components, which is in the upright manner. In this inverse layout, all your expansion slots will be on the top and the I/O shield and ports will be at the bottom. The placement of PSU depends on the case, but in most of these inverse cases, it is on the top. There are different types of inverted PC cases, which are being mentioned below. Here are various types of inverted cases that you can find in the market. Standard Inverted Case – These are typical inverted PC cases with inverse layout design, in which the motherboard and the components are mounted in upside down fashion only. In these cases, you cannot mount the motherboard in regular or standard layout. Modular Inverted Case – These are more expensive cases that offers multiple layout design, which includes standard or regular layout, inverse layout and may be 90 degree rotation layout, depending on the case. These are highly modular cases that offers great flexibility and multiple layout options to choose from. Flipped Inverted Case – These are the cases that can be flipped upside down to have inverted layout. These cases have symmetrical design that allows them to be placed in either fashion i.e. regular or inverted layout, depending on your liking or requirement. These cases may not offer the same advantages of a proper inverse layout design, because the installation and positioning the internal components remain the same. The only advantage you can get here is that you can place this case on either side i.e. left or right, and can view all the components through transparent side window panel (if it has one), while working on your desktop. 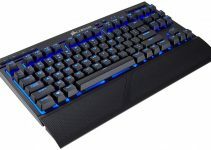 Here are most common advantages that an inverted computer case offers. 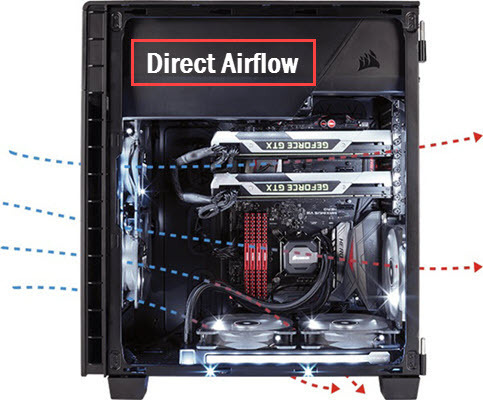 Better Airflow – Most of the inverted PC cases offer better airflow compared to cases with standard layout. This is because the front fans in these cases are positioned in such a way that they blow cool air directly on the main components, which include your CPU Cooler, Graphics Card, RAM. Also, most of these cases do not have hard drive cages & PSU in between the front fans and the motherboard, which results in direct airflow to the components without any obstruction, and thus better cooling performance. Another benefit of the inverted layout is that if you have a graphics card supporter then it will make contact only with backside of the graphics card, which eliminates any potential interference with graphics card fans. Left Side Setup – If you do not have space on the right side of the desk, and want to place your desktop on the left side with the clear view of the components through transparent side panel, then inverted case is the only solution, because it has transparent window or panel on the right side, through which installation is done. This is because in a case with standard layout, you can only view the internal components through the left side panel only, even if both the side panels of the case have transparent window or tempered glass panel. Style Statement – A case with inverted layout really stands out from the crowd, because most of the computer cases in the market have regular layout only. You can also show off these cases to your friends and can amaze them with your fancy inverted PC case. Quieter – Some of the inverted PC cases are very quiet in operation than regular cases, because of the direct airflow and the aerodynamics involved with inverted design. Here are the best inverted ATX cases that can fit an ATX motherboard or higher. Most of these PC cases are in mid-tower and full-tower form factors. be quiet! Dark Base PRO 900 rev.2 is a high-end Full tower case that you can get for building a powerful gaming PC or workstation. This is not only an Inverted ATX case, but also a silent case that comes with tons of features, and some of them are so unique that you would normally do not find in other cases. This is a big case can support up to XL-ATX motherboards, both in inverted and standard layout. For cooling, the case comes with two 140mm Silent Wings 3 fans at front and one at the rear. You can also optionally install additionally fans at front, top and at bottom for increasing airflow and cooing. For noise reduction, the case has got sound dampening mats in front, side and on top panel. On the front panel, you will get two USB 3.0 ports, one USB 3.1 Type C port, audio ports and one special USB Type A Port that supports Quick charging for supported smartphones. On the top of the front panel, you get the wireless charger that can charge your Qi supported smartphone through wireless charging. The case also has got a dual Rail PWM Fan controller hub (8 fans), and each one of them can be switched between silent or performance mode of operation. Inside the case, you also have the RGB LED Strip that supports six colors, which can be switched according to your liking. The side panel is made of tinted tempered glass that allows you to have a look at your internal components from outside. The case has got modular HDD slots for greater flexibility, and you can install or remove them according to your requirements. It supports up to two 5.25” drives, up to five 3.5” drives and up to ten 2.5” drives. The case has got relocatable motherboard tray that can be decoupled and can be adjusted to different heights, or you can install it along the left panel in inverted layout for better airflow. Moreover, the motherboard tray be can totally removed for use a test bench, which might come in handy, when you are just testing variety of components. 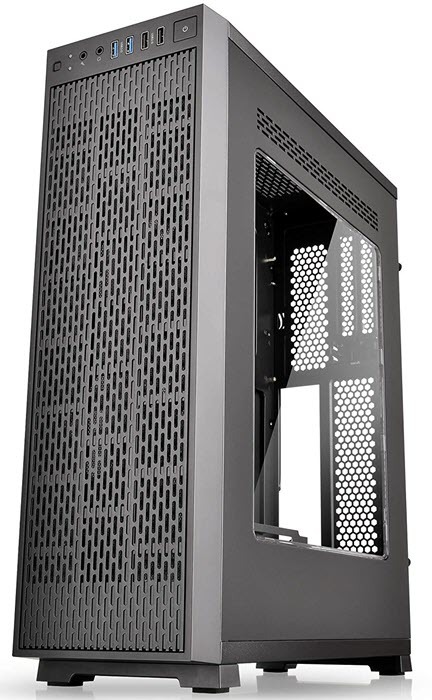 The case comes with full length PSU shroud, and it is located at the bottom location. The only complaint this case has is that the mounting of PSU is a little bit tricky and annoying, and takes some time and effort. The case can support high-end graphics cards up to 325mm / 470mm (w/o HDD bracket) in length, tall CPU cooler up to 185mm in height and up to 420mm Radiators for custom water cooling or AIO coolers. The build quality of the case is top notch and so its performance. The case is a bit on the expensive side but is totally worth it because of its amazing features, quality and performance. So, if you are looking for a feature rich and spacious high-quality case for your high-end gaming PC or work PC with inverted layout support, then you won’t find anything better than this. This The case is available in three color options: orange, black and silver. Highly Recommended by me for Enthusiasts and Gamers. Note: There is also an old model of this case without rev. 2 i.e. Dark Base PRO 900 only, that does not come with PSU shroud and misses out on features, such as quick charging USB port and USB Type C port on front panel. 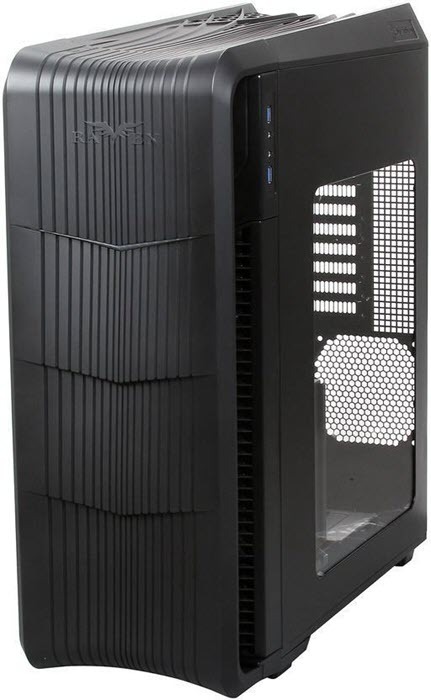 Corsair Carbide 600C is a Full Tower Inverse ATX Case from Corsair. 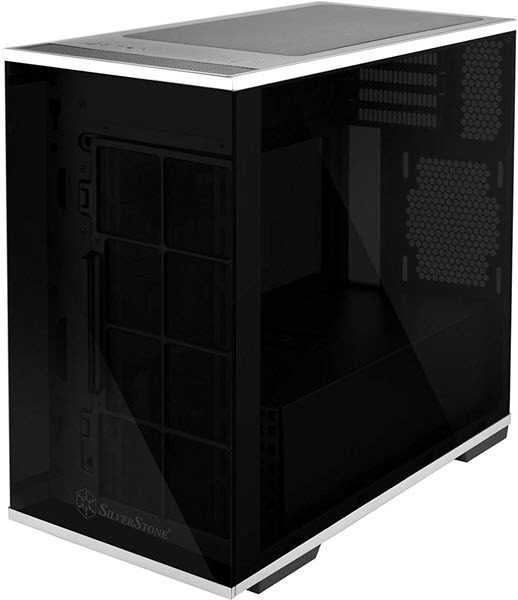 This case only supports full inverse layout design with PSU mounted at the top of the case. 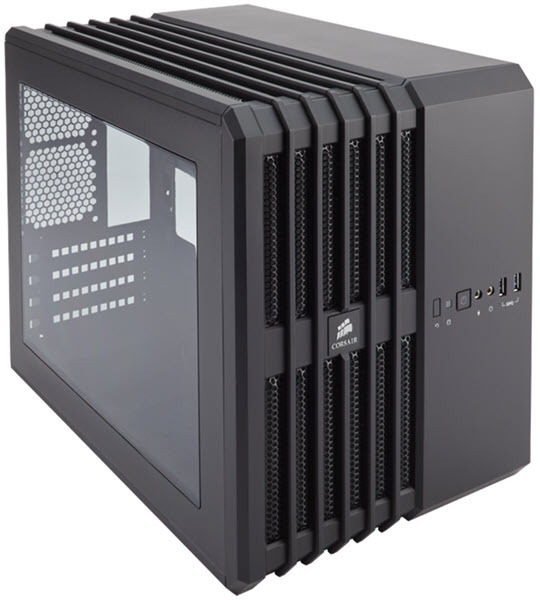 This is a pretty spacious case and supports up to ATX sized motherboards, and for cooling it comes with three Corsair AF140L fans installed, two at the front and one at the rear, which is located at the bottom side of rear panel because of inverse layout design. You may also install 120mm/140mm fans at the bottom too for increasing the airflow further. The case features a swingable transparent side panel that can be opened very easily by single hand, just by releasing the latch. On the front top panel, you will get I/O ports that include two USB 3.0 ports, two USB 2.0 ports, Audio ports, and a three speed fan controller for adjusting your fan speed depending on the temperature. The case can support 370mm long high-end graphics card, up to 200mm tall CPU Cooler and up to 360mm Radiator for water cooling or for AIO cooler. 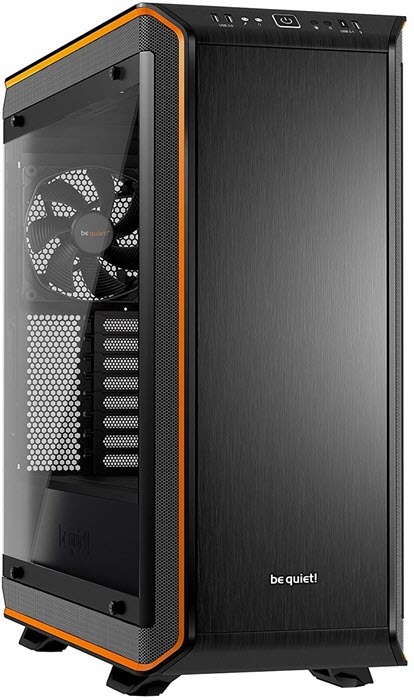 Because of the completely inverse layout design and no hard drive cages in between the front fans and the components (CPU Cooler, Graphics card, motherboard, RAM), the case has excellent direct airflow to the major components and is also pretty quiet in operation. It supports two 5.25” drives, two 3.5” drives and three 2.5” drives. The 3.5-inch hard drives can be installed in the PSU shroud at the top and 2.5” drives at the back of the motherboard panel. The case has good build quality and have front and top steel panels. Other features of this case include Front & Bottom dust filters, PSU Shroud, cable routing and 5.05” bay cover. Overall, a very practical, roomy and pretty quiet inverse ATX case that is on the affordable side too. Cooler Master COSMOS C700P is a beautiful Full Tower Case that comes with RGB Lighting, and can fit up to E-ATX sized motherboard. This is a highly modular case and offers three layout options, which include regular layout, chimney layout and inverted layout. This a water-cooling ready case and has tons of space to accommodate all of your high-end components. 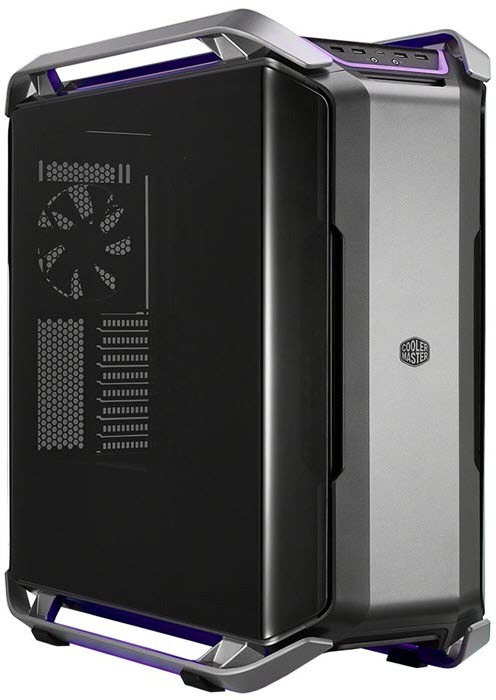 The case has good airflow and offers fan mounting points at front, bottom, rear and top. It comes pre-installed with two 140mm fans at front and one at rear. You can optionally install more fans for increasing airflow for better cooling. The case also features two sleek aluminum handles on the top for moving or carrying the case comfortably. The front I/O ports include four USB 3.0 ports, one USB 3.1 Gen 2 Type C port, audio ports and an RGB control buttons for changing RGB lighting and effects to your liking. This case can fit graphics cards that are up 490mm long, CPU Coolers that are up to 198mm tall and up to 420mm Radiators for AIO cooler or for custom water cooling. The case also comes with a panoramic tempered glass side panel that allows to you to have a look at all of your internal components from outside. It can accommodate up to eight 3.5”/2.5” drives, two 2.5” drives and can fit two 5.25” ODD for your DVD or Blue-ray writer or drive. Some other features of this highly-modular case include removable dust filters, cable routing and tool free drive installation. The case has good build quality and is one of the best-looking cases around. This is the ultimate case for enthusiasts for building a high-end gaming PC or workstation. Note: This case is also available with ARGB lighting, adjustable GPU mounting seat for vertical placement of graphics card and aluminum front panel. The model number for this case is C700M, and you can check out both these cases from the links given below. The main difference between the C700M and the C700P is the C700M has ARGB LED strips and ARGB control panel, GPU mounting seat that can be adjusted, and the front panel is aluminum. be quiet! 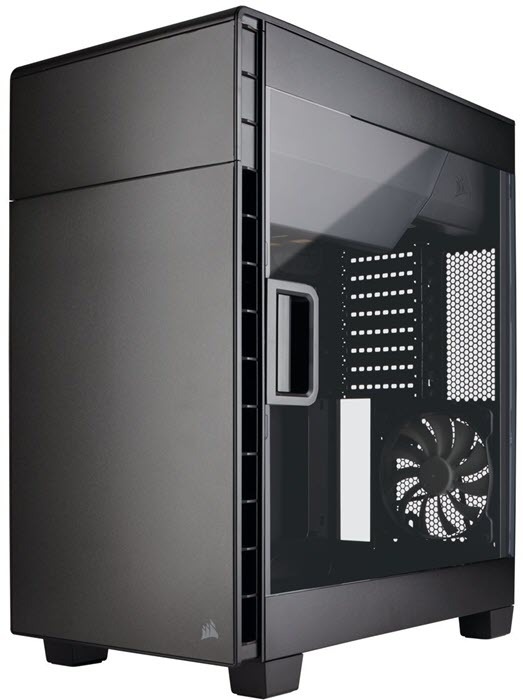 Dark Base 700 is a silent mid-tower case that can support up to E-ATX size motherboard. This case resembles much like its bigger brother, which is be quiet! Dark Base PRO 900 rev.2, and shares some of the features present in it. The case comes with a relocatable and removable motherboard tray that can be placed in both regular and inverse layout fashion. The detachable motherboard tray also serves as a test bench, when removed completely from the case. However, the position of the PSU remains at the bottom only, which is protected by a full-length shroud. The case comes with two Silent Wings 3 140mm PWM fans, one at the front, and one at the rear. You can optionally install more fans at front and the at the bottom too for further increasing the airflow and cooling performance. As this is a silent case, so it comes with sound dampening pads on front, side and top panel. It also comes with a dual rail PWM fan controller that can be switched between silent and performance modes of operation using the physical switches present on it. The front panel also sports RGB LED strips on the sides that supports six colors, and looks super amazing. The RGB LEDs can be synchronized using the RGB controller or using the motherboard RGB header using its RGB software. The I/O ports on the front panel include two USB 3.0 ports, one USB 3.1 Gen 2 Type C port, audio ports and a 4-Speed fan controller switch. The case can support graphics cards up to 430mm in length, tall CPU Coolers up to 180mm in height and up to 360mm radiator for liquid cooling. The hard drive cages are modular that allows for much better flexibility and space saving inside the case. The case offers plenty of space for your storage drives, so that you don’t have to worry about your data storage needs. Other features include removable dust filters, tempered glass side panel and cable routing. As always, a high-quality case from be quiet! 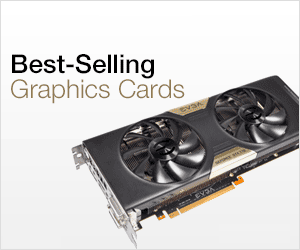 that is quiet, looks great, offers great flexibility and very good cooling performance. into two chambers: left and right. The left chamber accommodates motherboard, CPU, GPU and the right chamber fits PSU, HDD / SDD bays and ODD bay (5.25”). 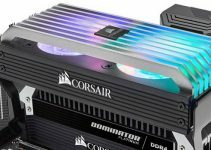 The case comes with one blue LED 120mm fan at front, but you can also install one more 120mm fan at front and one 80mm at rear for increasing airflow and cooling. The front I/O ports include two USB 3.0 ports and audio ports. The case can fit 300mm long graphics cards, which is quite reasonable, but can only fit 120mm tall CPU coolers, which is a kind of challenge and it is better to use low profile CPU cooler for this case. The case also supports 240mm radiator for AIO liquid cooling, but it better to use a 120mm AIO cooler only in this case because of space constraints. The side panel of the case has transparent window for having a look at your inside components. Other features include dust filters, cable routing and too less drive installation. So, if you are looking an ultra-compact inverse ATX case for building an SFF gaming PC then this is the case for you. 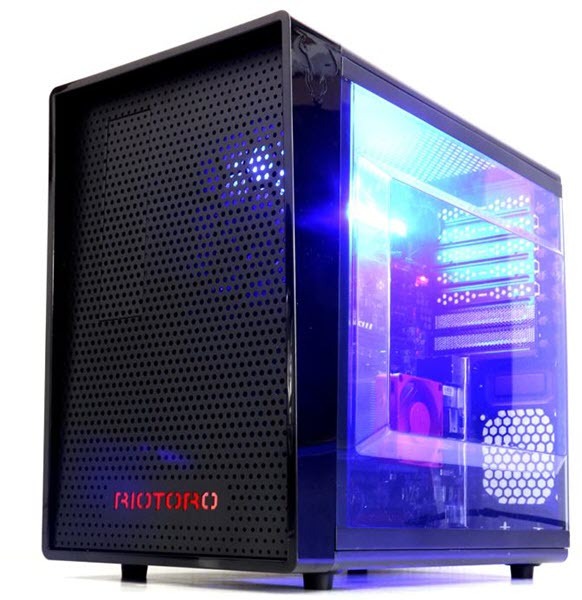 Note: An RGB model of this case is also available as RIOTORO CR1088, and you can check it out too from the links given below. 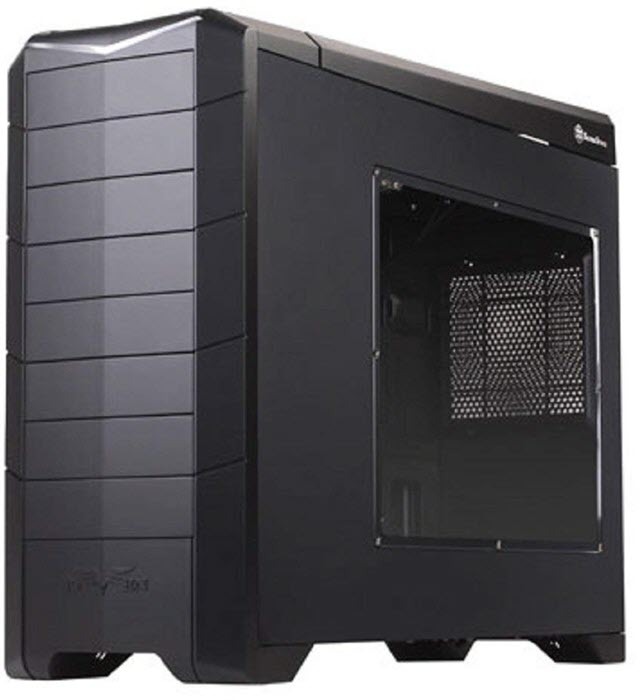 Thermaltake Core G3 is a slim small form factor ATX case with inverse layout design. Even being a slim case, it can support ATX motherboard and other high-end components, and is water cooling ready (Thermaltake Tt LCS Certified). It has got a mesh front panel with two 120mm fans pre-installed at front, and you optionally install a 120mm at the top too. At the top of front panel, I/O ports are located that include two USB 3.0 ports, two USB 2.0 ports and Audio ports. The case supports two expansion slots, and can fit even a full height dual slot graphics card, having length up to 370mm. The graphics card has to be mounted in the vertical position only, using the PCIe Riser cable, that comes included with the case. However, the CPU cooler support is limited to height to up to 110mm, and you have to use either a low-profile CPU air cooler, AIO cooler or custom water block for it. Also, it does support SFX PSU only, because of its slimmer design, and the power supply is seated at the bottom position. The case allows two-way placement, which means it can be placed horizontally and vertically. The side panel is transparent that allows complete view of your internal components from outside. You can install up to two 2.5” / 3.5” drive in the case. Other features include removable dust filters and tool less drive installation. So, if you are looking for an SFF inverse layout case for your compact gaming or workstation build, then this is a great case to have. When it comes to PC cases, then Silverstone has every variety under its belt. Here we have SilverStone RV04, which is a full tower ATX case that can support up to SSI-EEB motherboards, and offers lots of room for all your high-end components. 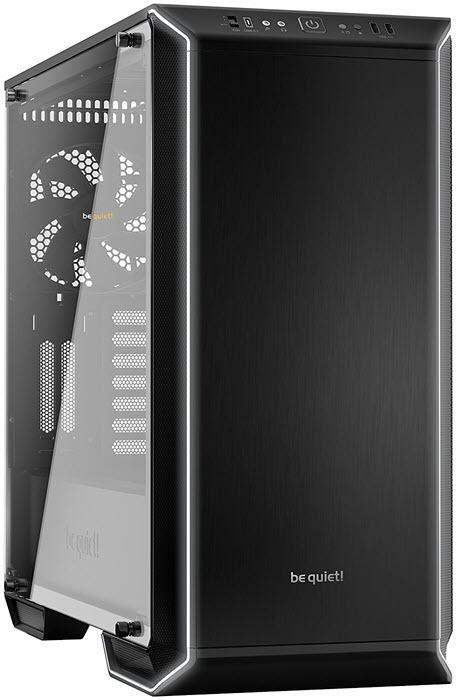 The case has inverted layout design that helps in achieving better cooling performance. It comes with two Air Penetrator AP181 180mm Fans at front, and you can optionally install one 120mm fan at the top to increase airflow. The I/O ports on this case are located on the side, which includes two USB 3.0 ports and audio ports. The case can fit high-end graphics cards up to 337mm long, 165mm tall CPU coolers, 180mm ATX PSU and up to 360mm Radiator. The case has adjustable support for both CPU cooler and graphics card to prevent them from bending. It also has got lots of storage space for your drives as it can accommodate two 5.25” external drives and up to seven 3.5” drives, out of which two are hot swappable drives and up to four 2.5” drives for your SSDs. Other features include easily accessible and removable dust filters, up to Kensington locks support, tool less drive installation, side panel with transparent window and cable management. Note: This case is also available with aluminum front door and top panel, and with foam padded panels for noise absorption (for quieter operation), while other specifications remain almost the same. It has model number as SilverStone FT04B-W (Fortress series), and it does cost somewhat extra. SilverStone Raven RV02 is a very unique PC case as it does not come with full inverse layout, but rather 90-degree motherboard layout, in which the expansion slots and I/O ports come at the top of the case, rather than at the rear. 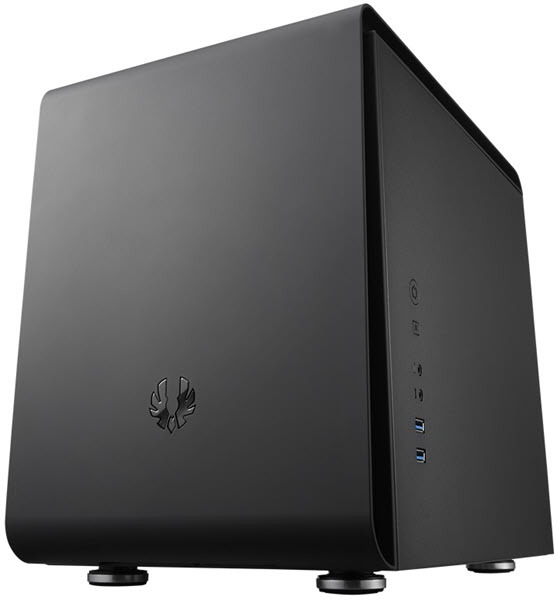 The case comes with ample of internal space and can fit 11-inch wide ATX motherboard. It comes with three 180mm fans at the bottom that serve as intake fans, and one 120mm fan at the top that function as an exhaust fan. Due to this 90 degree layout and design, it has great airflow and offers very good cooling performance. The front I/O ports include two USB 3.0 ports and audio ports. The case can support up 305mm long graphics cards, 169mm tall CPU coolers but does not include enough support for liquid cooling and radiators. For storage, it offers plenty of mounting points and can support up to five to eight 5.25” drives, up to three 3.5” drive and one 2.56” drive. This is a great case for building a server or workstation, but may not be a good option for a gaming build. Other features include dust filters, cable management, transparent window side panel and tool less drive installation. Here are the best inverted Micro-ATX cases that can fit a Micro-ATX or Mini-ITX motherboard. SilverStone LD01 is undoubtedly one the best inverted micro-ATX cases around. This is a clean looking beautiful case that is practical, spacious yet compact, packs lot of features and delivers good cooling performance. For airflow, you can install two 120mm/140mm fans on front, two on top, and one 120mm fan at rear. It has got three tempered glass panels, one on front and two on sides, and they give this case a very premium look. The I/O ports on the front of the top panel include two USB 3.0 ports, one USB 3.1 Gen1 Type-C port and audio ports. The build quality of the case is good and it can support a 370mm long graphics card, 168mm tall CPU cooler, 220mm PSU and up to 280mm Radiator for liquid cooling. or AIO. For storage, it supports up to three 3.5-inch hard drives and up to two 2.5-inch drives for SSD. Other salient features of this case include adjustable graphics card holder (to prevent it from sagging), removable dust filters, cable management, PSU shroud and tool less drive installation. So, if you are looking for micro-ATX inverted case with good airflow and great looks for your compact gaming build, then just go for it. 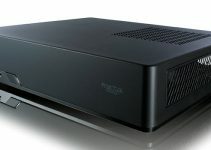 BitFenix Phenom is a Micro-ATX Cube case for building small form factor computers. It has got inverse layout design for motherboard, and has better airflow due to it. This may be a tiny case, but it packs a loot of room for its size and can fit most of your gaming components, including a high-end graphics card. It comes pre-installed with one 120mm fan at bottom and one at rear.. Optionally, you can install much bigger 200mm fan or 230mm fan at bottom, and two 120mm fan on top for increasing the airflow and cooling performance. The I/O ports are located on the side that include two USB 3.0 ports and HD audio ports. The case does not come with transparent window on side panel, which can be a area of concern for some users. The case can easily fit a 320mm long graphics card, 160mm tall CPU cooler and standard ATX PSU. It can also fit a slim 240mm Radiator at top. The PSU is fitted at the bottom in an inverted (face down) position in this case. It offers ample space for your storage drive and can accommodate up to five 3.5” and 2.5” drives using the included adapter. Other features of this case include dust filters, cable management and tool less drive installation. Here we have another Micro-ATX Cube case, which is Corsair Carbide Air 240. Technically, it is not an inverse layout case, but due to its symmetrical design and no built-in standing feet, the entire case can be flipped over to have inverted and 90-degree layout. The case packs decent amount of space for your components, and is liquid cooling ready. For cooling, it comes with two 120mm fans at front and one at rear. You can optionally install more fans according to your liking and requirements for enhancing airflow. The I/O ports are located on the front that include three USB 3.0 ports and audio ports. The side panel of the case features a large transparent window that allows you to look at internal components without opening it. The case can fit graphics cards up to 240mm in length, and low height CPU coolers up 120mm tall only. However, it does support full length PSU and up to 240mm Radiator for AIO liquid cooling. The case has good build quality and its other features include cable routing, tool less drive installation and meshed front, top and bottom panel. The case is compatible with H55, H60, H75, H80i, H100i, H105 Corsair Liquid Coolers. Inverted cases may not be the current norm, but they do have some great benefits and looks pretty cool. These cases can offer better airflow and you can also access the internal components quite easily too, because of the inverted layout. Above, I have listed all the best inverted ATX and Micro-ATX cases available in the market right now, and if you have kind of questions regarding them, then please ask your queries in the comment section below.